Should whisky be all about the numbers? Are we in danger of being lost in a maze of repeating binary digits, with no sign of a red pill for extraction? Happy to keep popping the blue pill and repeating the same behaviours ad infinitum? I often ask myself this and question why others are so compelled by a mere figure that upon discovery induces some form of delirium. The sense of a panic buy based on the investment or flipper potential? That’s certainly a common fever nowadays, and it has gripped a proportion of the nation. Yet that’s an obvious number and trait. How about a particular vintage? The bottling age? A sizeable strength? The outturn? These and more besides reiterate that whisky can be about numbers if you let it take a firm grip. Then there is the big number on any website dealing with whisky, i.e. their stats; sorry, the “review score.” I’m sure some of you already have scrolled down below and taken a quick peek. That’s understandable and expected. I even considered publishing this review with no score, and then in true Corporate Box style, leaving instructions asking you to contact me to obtain the final result. That would have been fun, but a drain on my resources. Plus, I don’t think we have that much patience nowadays as a society, nor in whisky. Everyone wants everything asap and yesterday. Life isn’t like that, and I wouldn’t want to torment any of our readership by failing to respond within 10 minutes or so. Everything rides upon the score. 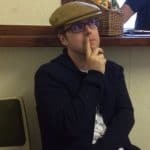 At the end of the day, it is a mere opinion and a convenient summary by the person involved, an expression of their value of the whisky at hand that can be slotted into a handy scoring guide. Whatever the mark, it is an opinion, and is not definitive. A regular conversion I have is around scoring, and one person may agree whilst the very next day, another will take issue with the same piece. Personally, I believe you cannot please everyone, and certainly not all of the time either. Stick to what you feel and mark it accordingly. If someone disagrees, then that’s perfectly fine, but neither opinion is right or wrong. Just exclusive to the individual. Now prepare yourself for the numbers that truly matter: this Caol Ila was distilled in 1982 and bottled at 36 years of age. Just 120 bottles were extracted from the bourbon hogshead at 54.4%, retailing for £215; needless to say, this release didn’t hang around long. Console yourselves, however, with the realisation that Cadenhead’s seem to bottle such aged Caol Ilas a couple of times per year. If you’ve missed out this time around, then there will be another opportunity soon enough. Just display a bit of patience and enjoy the whiskies you have on hand in the meantime. On the nose: A freshness and lemon, then lots of sea salt, moving into brine and then ham hock. An elegant balance. Creamy starting out as dirty vanilla and moving into rice pudding with a caramelised topping. Beachwood, sunflower oil, marzipan, chargrilled pineapple and honey. Fern, fresh cotton, a hint of orange, more salt and a spent campfire. Water reveals beeswax, leather, caramel and hazelnuts. In the mouth: Salty again, brine and more ham hock. There’s an epic finish with salted caramel that just goes on for goodness knows how long. Barbequed pineapply rings, drizzled in honey. Some black pepper, a wisp of smoke and a beautiful balance with apricots. Water reveals varnish and a buttery croissant. An epic dram, a wonderful vessel to see off 2018 and welcome in 2019 when I opened this on New Year’s Eve. 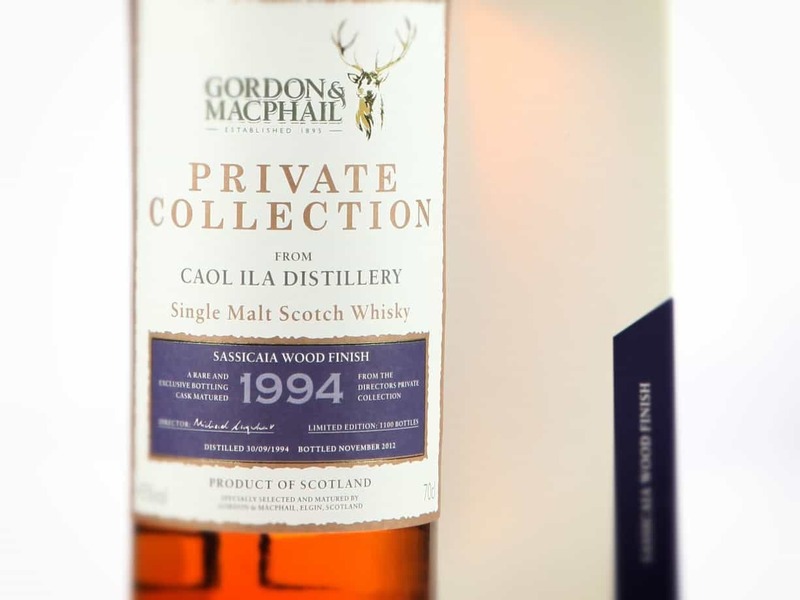 A memorable Caol Ila and something to break out and share with friends. There’s little else to add, in reality. This whisky confirms the joy that this ugly distillery can offer when granted the necessary time to mature and reach its zenith. Once you’ve discovered a Caol Ila in its third decade, you begin to form a new perspective on whisky: a sudden realisation that the big names and brands don’t really matter. There’s something for everyone to appreciate in a dram such as this, and it’s an experience for the memory banks. You can feel the time and patience deployed. The end result is a very special Caol Ila and a final figure from me. Fantastic review Jason. Allow me to say that I appreciate the review every bit as much as the score at the end. I think many people do and that’s why we enjoy this site. Most whisky at such a venerable age should taste wonderful, or at least we hope so. It’s a very fine price from Cadenhead’s. I’ve only broken my £200 barrier once and that was for a 34 year old armagnac from Domaine Boingneres 1981 (truly superb producer). Indi Caol Ila is has always been terrific in my experience. Thanks, WT, a very memorable whisky and a deserved score. The straightforward thing to do is the score and tasting notes, but the other chunk of the review is the real work for most of us here. 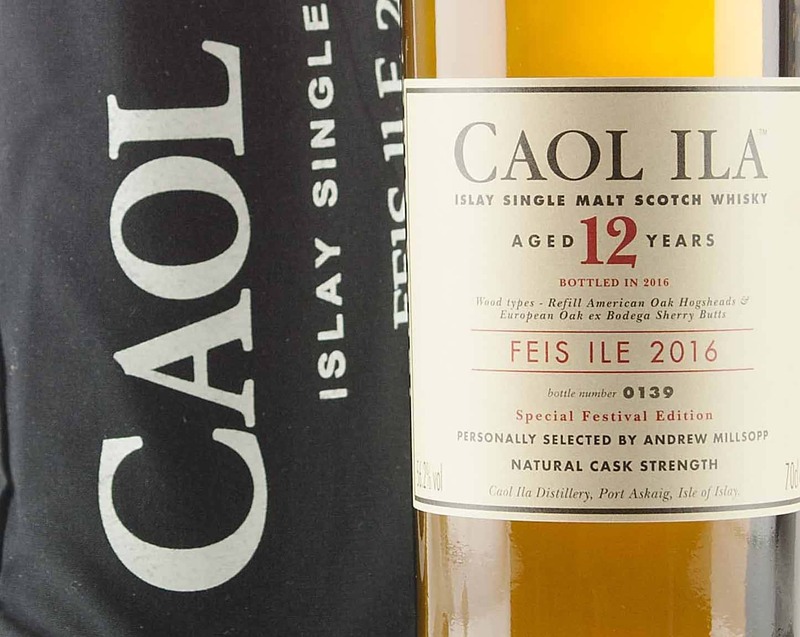 These Caol Ila’s are marvellous things – prepare for the chase when the next one appears!